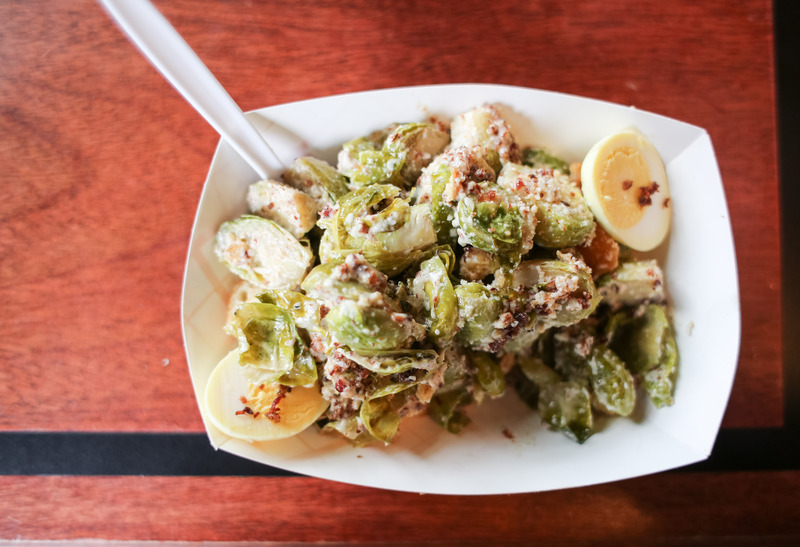 Now when it comes to the food truck life, not many people know more about it than Syd Suntha. 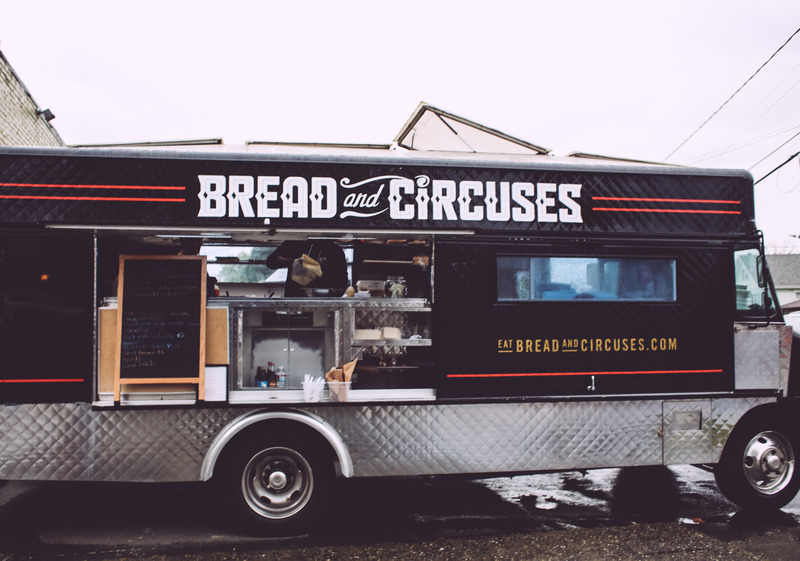 Working his way up the ranks of some of Seattle’s best food trucks, including both Skillet Street Food and Where Ya At Matt?, Syd has taken years of experience, a culinary degree and a passion for street food to create his own truck known as Bread & Circuses. 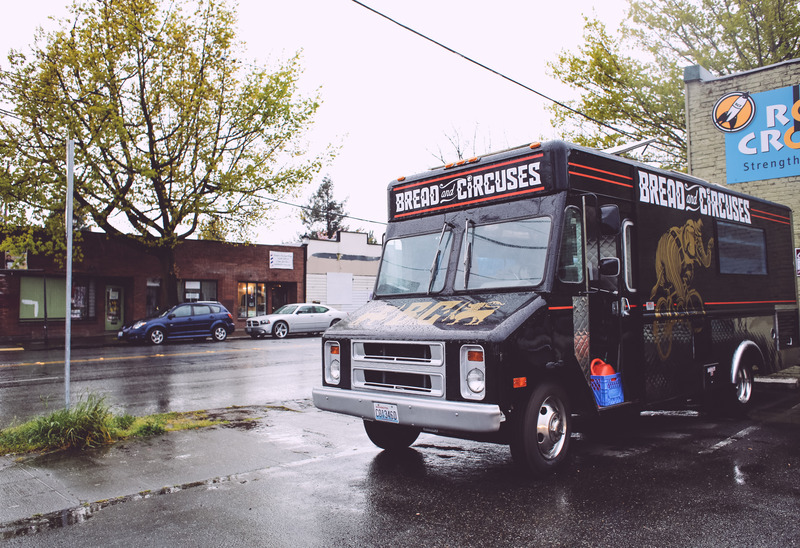 In little over a year, that truck has not only become one of the top trucks in Seattle, but most recently opened a pop-up restaurant inside of Two Beers Brewing. 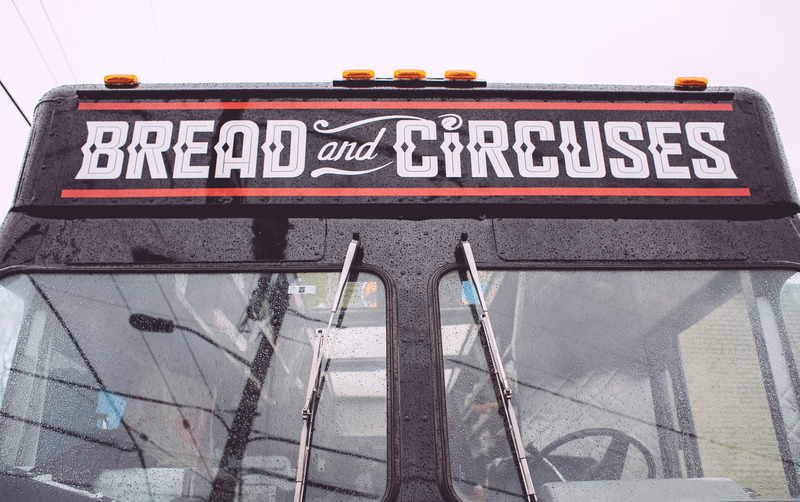 We caught up with Syd to chat more about about what makes this food truck so unique and how it came to be. 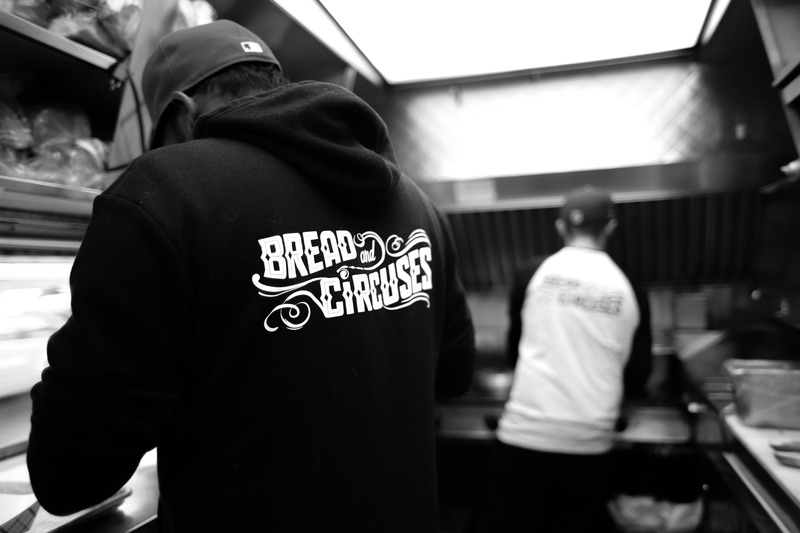 TELL US A BIT ABOUT BREAD AND CIRCUSES – WHAT ARE YOU GUYS ALL ABOUT? I like to call Bread and Circuses “Gastropub” style. 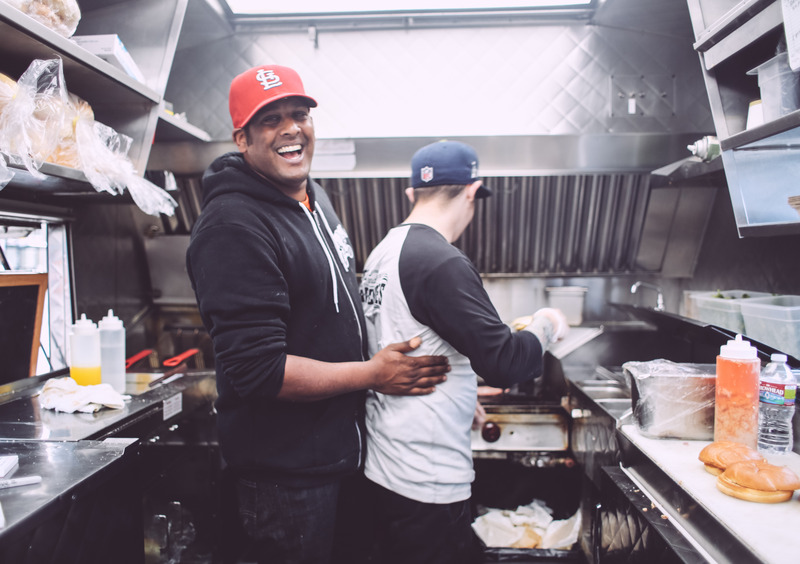 When we first started the truck, we were thinking about what theme to do, and Indian/Sri Lankan kept popping up. My fear with that was, we would be stuck doing that for the rest of our lives. Working with WYAM for a couple years, while the food was awesome, we were always stuck with those Creole limitations. I went with the Gastropub idea because it covers a wide array of cuisines, especially Indian. I knew we wouldn’t stop with the food truck, so it really allows us to flex our culinary muscles and have it make sense. James Barrington from Halava Fallafel and I had many beers at Chucks Hop Shop one night, and the idea just kind of popped out. I had been hustling for Skillet and WYAM for so many years, I knew all the angles, from how to get spots, how to keep food cost low, to how to set up catering events. I was scared shitless when we were getting things started, but a year later, I realize its the best decision I’ve ever made in my life. I would have to say Chucks Hop Shop Greenwood. My favorite thing about street food is being able to travel from different locations everyday, and not just stare out the same window if you were working in a kitchen, but I could go to Chucks everyday. Actually I pretty much do, just without the truck most of the times. I love the location because everyone there is like family, from the workers to the customers. I’ve had customers bring me gifts when my daughter was born and I’ve had Chuck share some Utopias with me. It also helps that its two blocks away from my house. WHAT’S THE BIGGEST STRUGGLE YOU’VE FACED AS A (NEW) FOOD TRUCK? A lot of the normal challenges that new trucks face came easy to me since I had been doing street food for 6 years before I started BC. The hardest part was probably just figuring out what we can do vs. what customers wanted. Most of us come from a fine dining background, so we really wanted to do some crazy stuff off the truck at the beginning. Turns out most people just wanted the burger, which is a great one, but we were really hoping the scrapple (pig face) grilled cheese would sell better! The other hurdle is explaining to some guests why the food cost are what they are. Most guests are cool, and get it, but sometimes you get the “Why is your burger $10 when I can get one for $2 at Burger King?”. You definitely don’t do street food to get rich. The margins are paper thin, and there are so many factors that you need to include in your price from commissary rentals to truck maintenance. My advice would be to keep your hustle game strong. Street food is not like the movie “Chef”. You will not have 100 people waiting in line for you to open on your first day. You need to build up your clientele by putting out amazing food with great customer service. There a lot of hungry people in Seattle, and a lot of events, but you need to put your time in and know some days are going to be busts. You also need to factor all of bad days into your business plan and come up with pricing that makes sense and won’t leave you broke after a bad winter. WHAT’S NEXT FOR BREAD AND CIRCUSES? We have the one truck, and the pop up restaurant located within The Woods, which is the tasting room for Two Beers Brewing and Seattle Cider. Our next project is Candy Butcher Hot Dogs, which will be serving at the Marymoor Concertseries all summer long as well as some special events. In Late 2016 we’ll be opening a restaurant with Geaux Brewing in Auburn as well as Bellevue. After that we have our eyes on doing an a 2nd truck that will be running out of the Eastside primarily. We also have a few fun tricks up our sleeves in addition to those projects. DMX, Huey Lewis, Ben Stiller, Rob Heubel, Godzilla, and Elian Gonzalez.